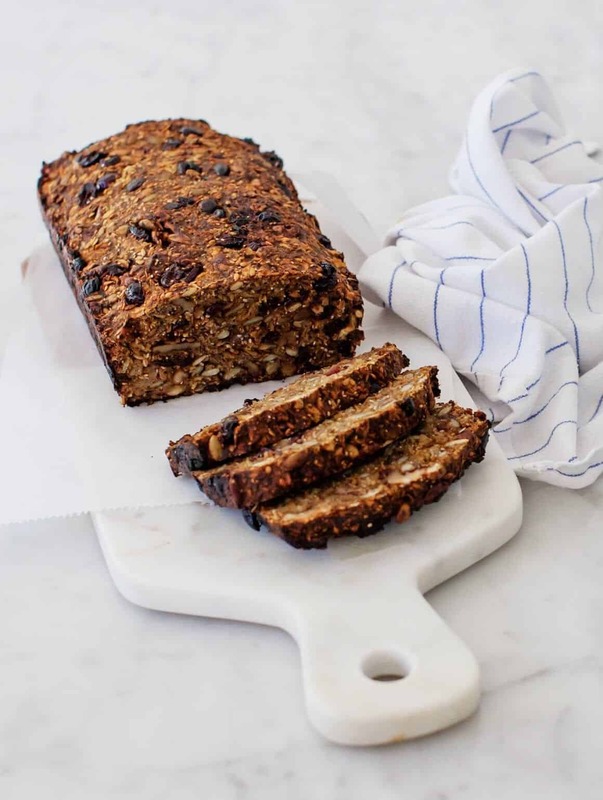 This delicious flourless loaf is vegan, gluten free, and packed with nutrients from seeds & nuts. Toast a slice for a hearty breakfast. Recipe from the book Alternative Baker. Say hello to my new daily breakfast. I’ve made this loaf twice in the last two weeks and have been enjoying a slice in the morning ever since. It’s lightly sweet, nutty, seedy, wonderfully wholesome and dense. I’ve been craving a dark seedy “bread” like this ever since we spent time in the Netherlands this past summer. So when I flipped through Alanna Taylor-Tobin’s new book Alternative Baker, this recipe immediately jumped out to me. If you’re gluten free, this book is a must-have. 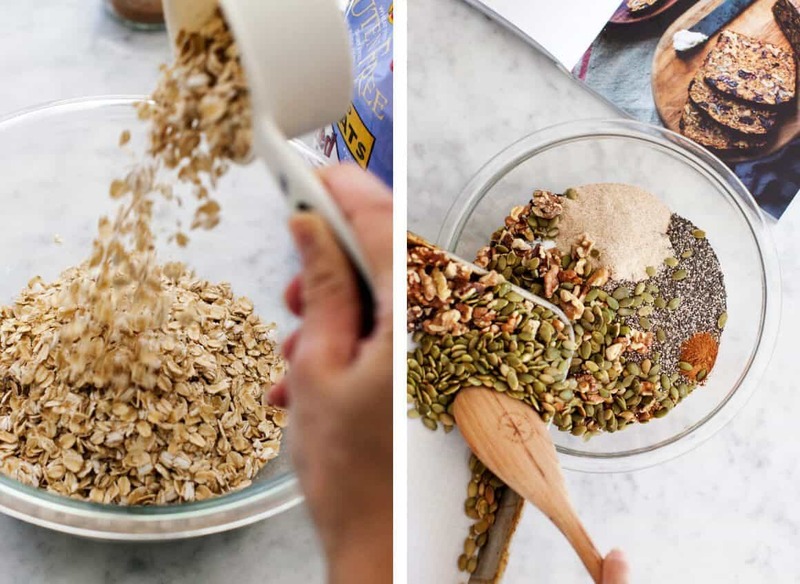 If you’re like me and enjoy experimenting with funny flours – it’s a must-have for you too. 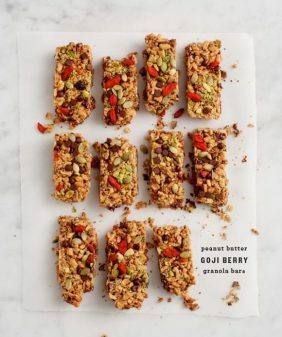 It’s packed with gorgeous baking recipes that use teff, buckwheat, coconut, chestnut and amaranth flours, just to name a few. 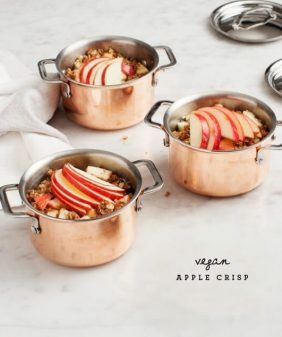 Although it’s not vegan, there are a few vegan recipes and also some suggested substitutions like how to make pie and tart crusts with coconut oil. The surprising thing about this loaf is that it doesn’t rise – you pack the mixture into a loaf pan and shape it so that it domes on top. Bake it for 1 hour and 15 minutes, until it’s deeply brown. This is best thinly sliced and toasted. It can be stored in the fridge for up to 2 weeks. I’ve also frozen individual slices. I suggest following this recipe exactly as written! Next, I have my eye on this vegan Coconut Cream and Raspberry Tart – yum! 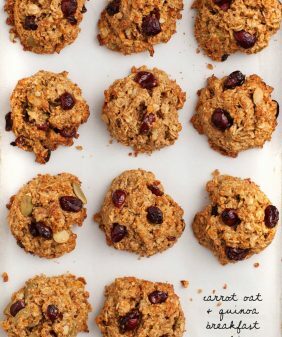 Recipe from Alternative Baker by Alanna Taylor-Tobin. Reprinted with permission. Position a rack in the center of the oven and preheat to 325°F (165°C). 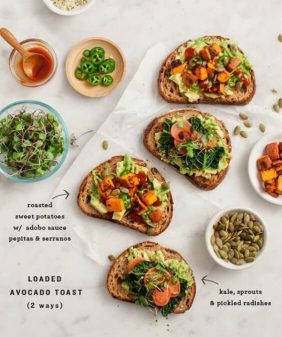 Spread the walnuts and pumpkin seeds on a small, rimmed baking sheet and toast until golden and fragrant, shuffling the pan occasionally, 10-15 minutes. Remove from the oven. Meanwhile, in a large bowl, stir together the oats, cranberries, flaxseeds, psyllium husks, chia seeds, salt, cinnamon and nutmeg to combine. Stir in the hot walnuts and pumpkin seeds. Add the pumpkin puree, water, maple syrup and sunflower oil and stir well with a sturdy wooden spoon or your hands to make sure the "dough" is moistened throughout and evenly distributed. Line a 9 by 5-inch loaf pan on all sides with parchment paper and scrape the dough into the prepared pan, packing it in and rounding it slightly on top; it won't rise in the oven. Cover tightly with a piece of plastic wrap and let sit at room temperature for 2-8 hours. When ready to bake, preheat the oven to 400°F. Bake the loaf for 1 hour and 15 minutes; it will be deeply bronzed on top and feel firm to the touch. (Note: the first time I made this I took it out a little early - don't do that - let it cook the whole time even thought the outside will be very dark). Let cool completely, at least 2 hours. The bread is best sliced fairly thinly and toasted well. It will keep, refrigerated airtight, for up to 2 weeks. What could I use in place of oil? I usually use applesauce but what in place of that too please? It has oil. Last ingredient. oh my goodness!! That looks insanely good, I think I’m going to have to have a go and also get the book! Thank you for sharing lovely. can I use ground psyllium husk? Does it have to be whole? Hi Adriana, yes I they’re necessary here as a binder, I’m thinking this would not work without them. You can always buy them online! (I have this kind: http://amzn.to/2egRlJY). I’ve had my jar stored in my fridge for months. Also available at Trader Joe’s. Hmm… sunflower seeds might work? It’s going to be a very very seedy bread, but I think peanuts might not be the greatest here. I’d just use the water, no need for milk. I have made something similar, but hope to try this version! Psyllium is great for holding gluten-free experiments together. This looks unreal in the very best way! I’m drooling just looking at this post and I can’t wait to give it a try this weekend! I’ve never made a bread recipe with pumpkin seeds before but I love the idea of it! What kind of taste do psyllium husks have? That part does not sound appetizing, but I assume they don’t have much flavor? Hi Becky, you can’t taste them in this bread, they just act as a binder. Is there another binder you might suggest? Psyllium husks can be an irritant to some digestive tracts. I love it and the kiddos love it 🙂 It’s great that it lasts soo long in the fridge too. Thanks for the recipe. I’m so glad you all loved it! I also froze some individual slices and that worked really well – delicious out of the toaster. So good! Thank you. I made some ghee to go on top and it tasted grand. This is just incredible! Have gotten many compliments from willing tasters! Do you think I could use fresh cranberries? I’m not fond of the dried ones. I’ve never been able to find them unsweetened. I haven’t tried it so I really can’t say – it might throw off the moisture ratio here. Thank you so much for sharing this recipe. I love it. I used coconut oil instead of sunflower. Love it! This cake is just soooooh delicious! I did have to make a few changes (very sorry!) only because I did not have a couple of ingredients to hand inc pumpkin. Used dried dates instead and red goji berries, as was out of dried cranberries. Kept in oven for given time – was tempted to take out early as top did look really, really black. But, held my nerve and did exactly as Janine advisedd (thanks Janine!) and stuck to time. This cake looks great cut, is slightly sticky and tastes gorgeous. What are the calorie count and nutrients? I read that you get more nutritional benefits from flaxseeds when they are ground. I made this the first time today–doubled it in fact, so I hope we love it as much as I expect to! Since my pans are 8.5×4.5, I divided between 3 pans. And I used avocado oil. They are resting now before baking! I wonder if I should reduce cooking time at all since my pans are a bit smaller? Hi Kristi, the avocado oil shouldn’t make a difference. Because of the pan size, I would probably bake them a little less but not much less. Maybe check around the 50 minute mark? delicious! and hearty. I put a strawberry chia jam on top and that made this all the more scrumptious. thank you for sharing this recipe with us. 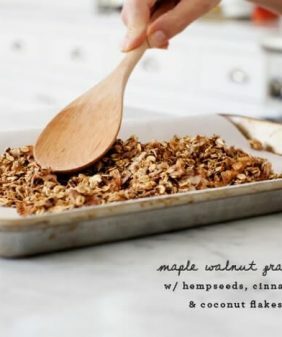 I will try this soon but will ground the flax seeds because otherwise they will have no nutrient value and just pass through the digestive tract and out the same way they came in. Looks delicious and I have it sitting on my counter ready to enter the oven in a few hours. My concern is that 400 degrees seems awfully hot to bake this. Any input?? I’ve made this at least 3 times and have not had any issues with the oven temp. The top becomes very browned (just like the photos) and it concerned me the first time, but once I cut in it was perfect. I would not recommend under-baking this one. I made this bread with fresh cranberries & dark chocolate chips. Came out very tasty. 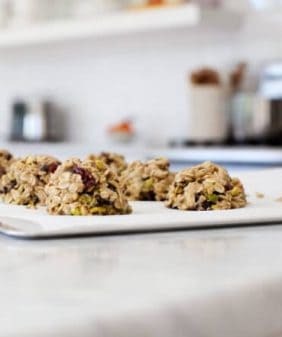 I next want to experiment replacing the oats, which can be a problem for some of us, with perhaps soaked buckwheat groats and/or teff grain. Hi Olga, I’m glad you enjoyed it! Let me know how it goes with the other grains! I can’t wait to try this. One question, I can’t get a canned unsweetened pumpkin purée, do you have a recipe for this?